Farming Friends & TopVeg have collaborated to create a How To Grow Pea Shoots card. 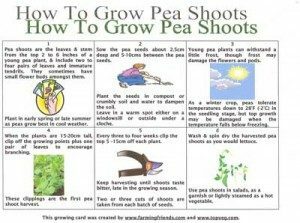 If you would like a pdf of the grow card for How to Grow Peashoots, please complete the contact form asking for the grow card for peashoots and we will email it to you. Everyone is talking about peashoots at the moment. They are really good value at this time of year when there is a gap in vegetable garden produce. Time from planting peas to harvesting peashoots can be four weeks! Thank you Sara of Farming Friends for designing this How to Grow Pea Shoots Card.